Outdoor structures make spaces more functional and inviting. Thinking about extending the size of your living space by building an Outdoor kitchen and wondering if the investment will add value to your home through landscape structures? According to the National Association of Home Builders (NAHB), the answer is yes. 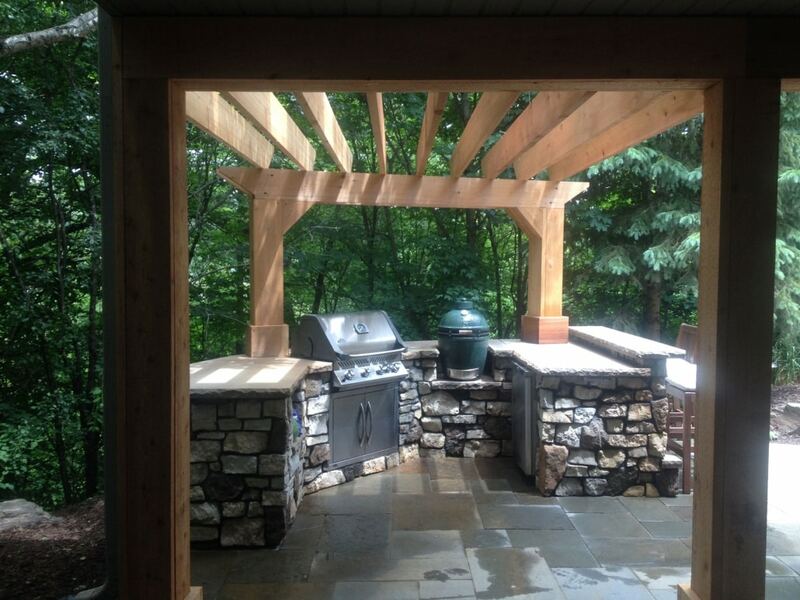 In fact, adding an outdoor kitchen will add value to your home. In fact, the return on your dollar can be as much as 130%. But more importunately it will serve as a gathering place for the whole family. Everyone loves a good old fashioned barbeque in the backyard! 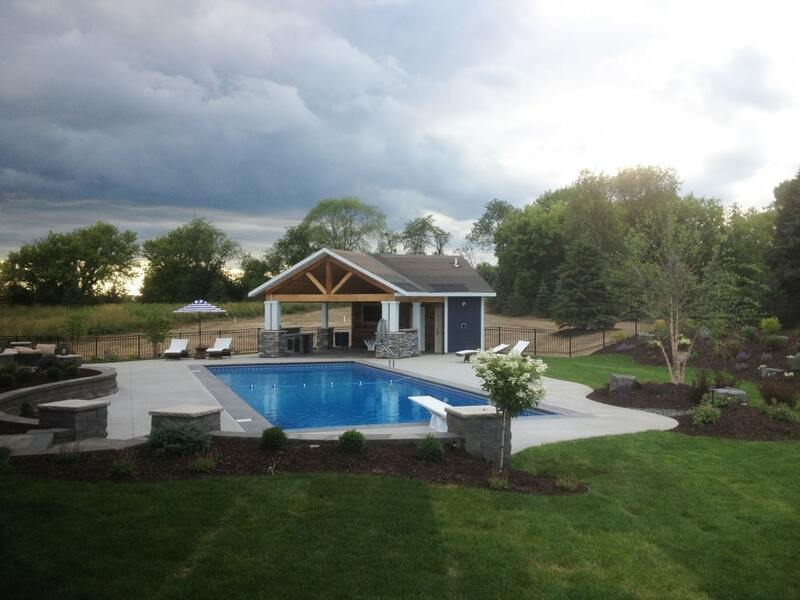 Landscapes Unlimited will walk you through the complete process of building an outdoor living space from adding a new deck, patio, porch or outdoor kitchen to modifying existing landscape structures. We can also make suggestions on products to fit your budget and lifestyle. If you are looking to add some style to your backyard, but aren’t interested in a messy, expensive project, we have just the thing. By providing a wonderful team of designers, experts, and engineers in place we help you come up with the perfect design for your backyard that will give it an extra bit of style. Adding a new patio roof, overhead, or arbor/pergola is a fun and modern way to spice up your home’s back and front yard spaces. One of the benefits of these architectural elements is that they can accentuate your outside area without undergoing a complete renovation. Arbors and pergolas give your home a flair while increasing your home’s level of enjoyment, who can argue with that? The installation of a pergola or arbor will draw your friends and family in, while giving you space to relax and enjoy every single day. Whether you’re just moving into a new home and are interested in a custom design with your own style in mind, or if you are just looking to add something new and exciting to your existing home, we are here to help. Our team of experts specialize in patio roof, pergola, arbor installation, and design. Our commitment is to work with each individual client to ensure the job gets done right. We understand the importance of having an outdoor living space at your Fort Worth home that you be able to enjoy, regardless of the time of year or day. New outdoor landscape structures will serve as both an aesthetically appealing and functional architectural feature for your home. For example, we can work with you to design and install a solid patio roof that will provide your deck with shelter from harsh weather conditions, and a shaded area from the Texas heat! These types of structures are a great aid in cooling a patio without taking away all the natural light. 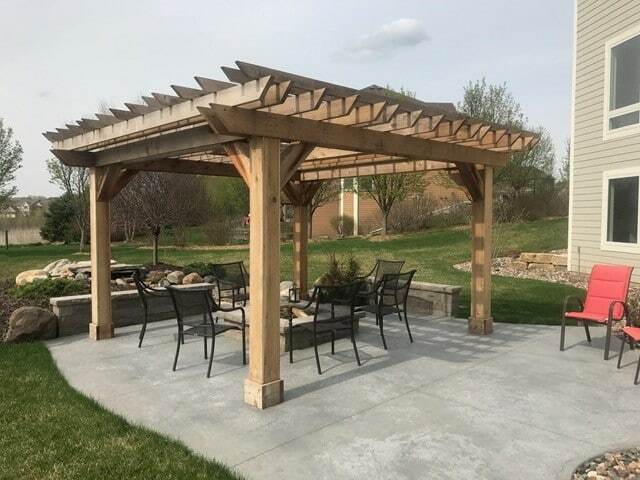 Arbors and pergolas will also serve as a striking focal point that will draw your guests in, all while providing plenty of shade during those hot summer days. Whether you are looking for filtered light shining through an open-air arbor or a full weatherproof patio that will enable you to enjoy the outdoors regardless of the weather, we can help build you the perfect structure. We also provide modern outdoor lighting for your Fort Worth home that will perfectly compliment whichever structure you choose, adding value and curb appeal to your home with every step.